Custom Boat Flags are delightful options to highlight the character of your boat or the yacht club. 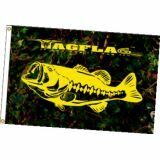 100% made in USA, our boat flags are printed on 200 denier nylon with high resolution UV resistant Dupont ink. Each flag is finished with a 9-oz Pure White Poly-Sateen Headingand brass grommets that will surely impress anyone who sees it! Shop from our collection of Personalized Boat Flags and avail the advantage of the best prices, quick shipping and much more! 100% customer satisfaction guaranteed! Personalized Boat Flags will make your boat get spotted easily even in mid sea. Available in various sizes and models, these nautical flags can be customized easily. Imprint your boat name, logo, snapshots or some punch lines to make your boat stand out in true style. Custom Nautical Flags also make great personalized gifts. 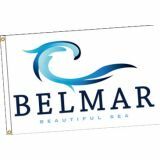 Offered in both single face reverse and double sided imprint options, these custom boat flags are great for displaying anything from your boat name, business logo or even the snapshots of your friends or family. Designed to withstand the outdoor weather elements, these boat flags are especially well suited for yacht races and expeditions. These colourful flags will make a spectacular presentation as these will fly even in the slightest breeze. So, if you have been trying for a new look for your boat personalize these Custom Boat Flags in fun and festive themes and see how the raving glances follow your boat from a long distance! Not just for the boat, these flags can even be used to deck up your study room or the garden in a nautical theme, perfect for all the sailors and the sea lovers out there! Choose from a range of Custom Boat Flags from Tuff Flags add a splash of color to your boat and promotional campaign alike.Should you need any selection tips or assistance call us at our toll free number (888) 872-3524 or email us at customercare@tuffflags.com.